You are invited to come along & enjoy our Gold Themed Winter Charity Ball, being held at the prestigious Port Lympne Mansion & Gardens. With a glass of bubbly on arrival at 7pm at our red carpet reception, followed by a three course meal, rounded off with tea and coffee before the band starts playing. 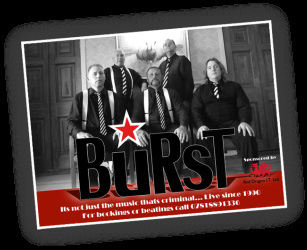 We have a fantastic band - Burst - providing lights & live music, the band who regularly perform at the Mansion, will be providing us with music before and between sets. There will be some entertainment on hand from Marc Lemezma a close up magician before the meal and our friendly photographer Darren Hanks will be there on your arrival to take a special snap* of you in your ball gowns & black tie outfits against the magnificent backdrop of the Mansion murals. (*a fee will apply if you wish to purchase a print of your photograph). During the evening we will hold a charity raffle with profits from the raffle and event being donated to the Emile Faurie Foundation, reaching children through horses. There is water on the tables for the evening and a pay-for bar available. Tickets for this lovely social occasion are priced at £65 per head. To reserve your ticket email jacqui.offen@jjsystems.co.uk & arrange payment & delivery of your uniquely numbered ticket. We have negotiated specially discounted prices for those who would like to stay at the Hythe Imperial Hotel for the night of 16th. Simply contact Harriet Jarvis on 01303 267441 & quote the code USFBALL to ensure that you get your reduced rate. We will also have a coach kindly arranged if there is sufficient interest for those who are interested which will start in Canterbury, then stop once at Bridge, Dover, Alkham, Hawkinge, Hythe and finally at Port Lympne, for both collection & return. Contact jacqui.offen@jjsystems.co.uk if you wish to book a seat at an approximate cost of £10 per person but must be booked & paid for in advance. Emile Faurie - a private lesson with Emile at his professional yard in the Cotswolds on your own horse.